Sort to Light or Put to Light is a visual technique that speeds up your sorting processes. The lights on the Sort to Light module quickly guide the operator towards the correct location, where the display shows the number of items to be sorted. Sort to Light is often used in combination with batch picking. Multiple orders are grouped together by a computer algorithm in order to reduce walking distances. 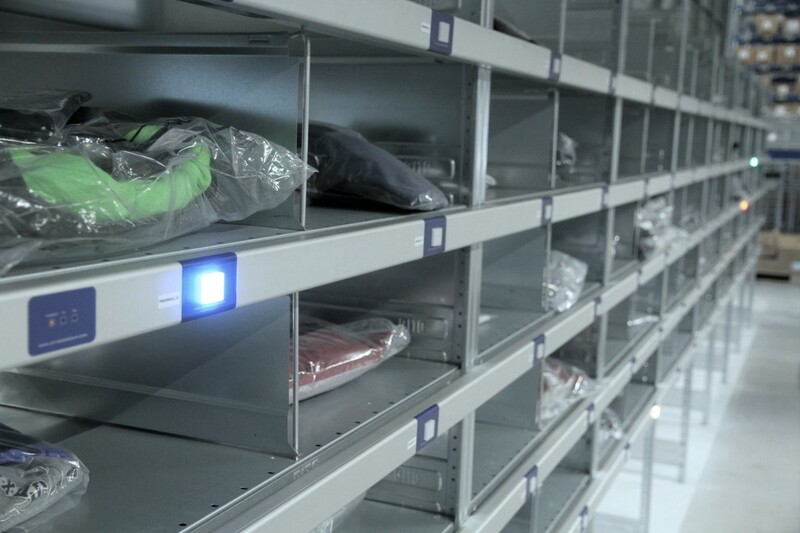 The tote of batch-picked items contains many different SKUs for different customer orders which must be sorted at customer-order level in a second step. After each scan, lights direct the operator to the correct put location on the put wall. The packing operation often occurs behind the put wall.